Found one file extension association related to PacMania and 1 file format developed specifically for use with PacMania. PacMan is the most popular game of the world since the age of first video game systems. 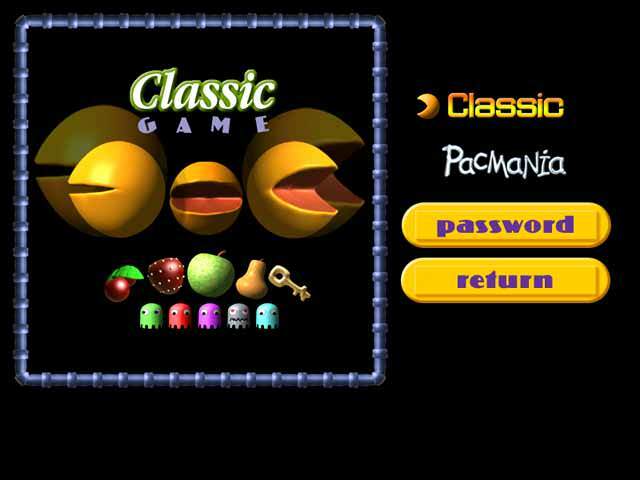 This new games pack contains three modern versions of PacMan game: PacMania, PacMania 2D+ and PacMania 3D. Your out-to-munch character is as voracious as ever, trying to eat various goodies and powerups to give you extra lives and to turn the tables on the chomping monsters. This creepy characters test your reflexes in a series of challenging mazes, including three-dimensional ones in PacMania 2D+ and PacMania 3D. If you need more information please contact the developers of PacMania (Alwar), or check out their product website.